Whitefruits is a collaboration between Antonin Tomasek and Gabriel Vach, two pottery and porcelain graduates from the University of Applied Arts in Prague. 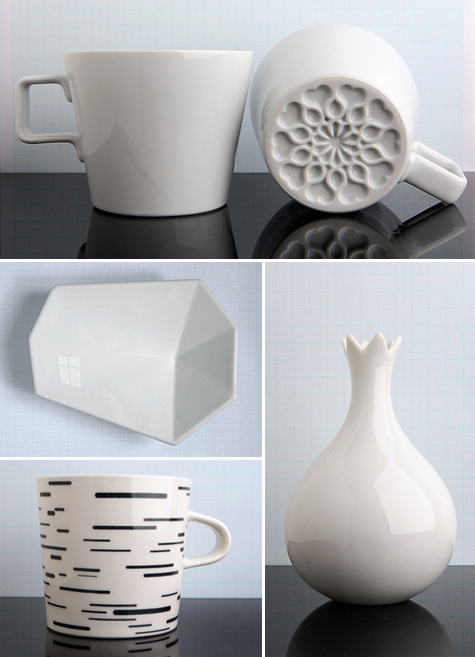 Their ceramics are suble and surprising in their details. Shown above: Loves Me, Loves Me Not, Onion/Onion, Birch/Birch and Home/Home.